Jump into fast-paced shooting action. Keep up with chaotic multiplayer battles. Hit your opponents, where it hurts, which is... technically everywhere. One shot, one kill - Every hit is deadly, so make sure you're the first to shoot! “THIS IS ONLY THE BEGINNING - THERE IS SO MUCH MORE TO COME. Nothing in the game is final and everything can and will be changed according to the community's feedback! We want SHiRO 011 to grow together with its community to become the game we all want! “We don't expect to stay in Early Access for too long but of course the duration will depend on the feedback we will get from the community and how much content they want us to add to the game. Ideally, we would like to leave Early Access by the end of 2019. We want every player to be able to build their own unique SHiRO soldier by exchanging different body parts, such as arms, legs, torso, head, etc. and adding some fancy effects to them. With our in-game editor, players will be able to create their own levels together with their friends. Up to 8 players can work together to design new maps which can be shared with the community. With only one click group members can switch between a builder bot and a SHiRO soldier, so they can build and test at the same time. SHiRO 011 is an arena shooter so, of course, there are tons of weapons that we plan to implement before releasing the full version. Reagrding weapons we are hoping for lots of input from the community and all their crazy ideas. We are planning to try out different game modes with the community and implement the ones that are the most fun to the players. Are you as excited as we are? SHiRO 011 is officially out on Steam now! 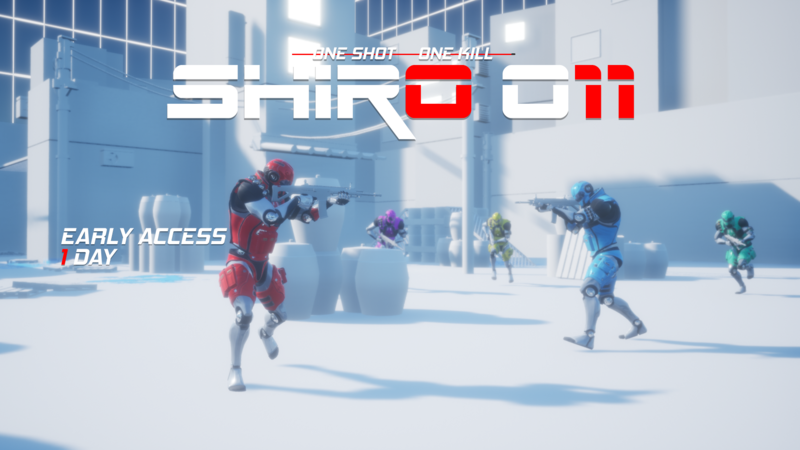 SHiRO 011 is now in Early Access, which means, that the game is nowhere near finished yet! Don't worry, it's all playable and everything, but there's also so much more we want to add to it - and that's where you guys come into play! As we want you to enjoy the game as much as possible, we would really like to encourage you to become part of the development process by letting us know about any ideas, suggestions or feedback you have regarding the game. So in the end, hopefully, SHiRO 011 can grow together with the community to become the game we all want! SHiRO 011 | Only 1 Day Left! 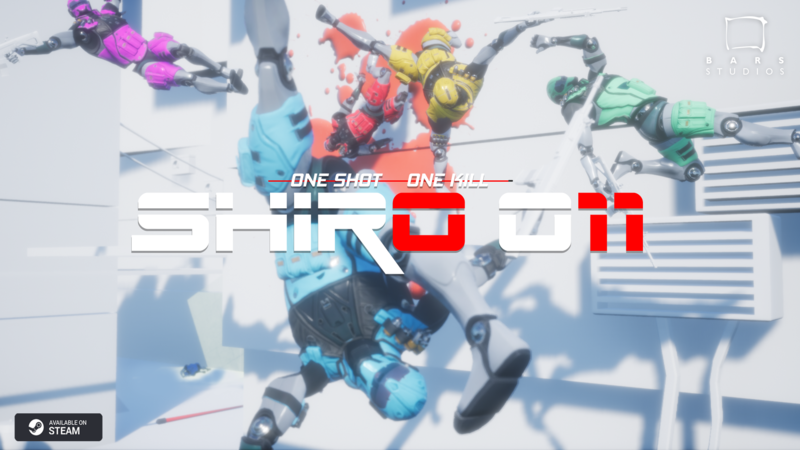 "SHiRO 011 is a 3rd person arena shooter that lets you compete with up to 7 players in online and local multiplayer battles. Eliminate your friends one by one or work together as a team to ensure your victory. Other than the max amount of 8 players per match there's no limits regarding team formation. All vs all, 1v1, uneven teams, everything's possible. Watch the battleground turn from a plain white canvas to a full blown Jackson Pollock painting while never losing sight of your opponents. No matter where you hit your opponent, every hit is deadly, so get the timing right and the battlefield will be yours! Create a timesphere around you to slow down everything within. Hunting enemies and dodging bullets at the same time has never felt so good. Every player enters the arena with 10 lives. Only one player/team will make it out alive. Chase the ball and try to hold it as long as you can. Each second will bring you closer to victory. Reload after every shot except when you hit someone, which will grant you another free bullet.